As 2014 commences, it is a time to reflect on the past and look forward to the future. There is always something new to learn and Birmingham Adult Education Service has many new courses starting in January. 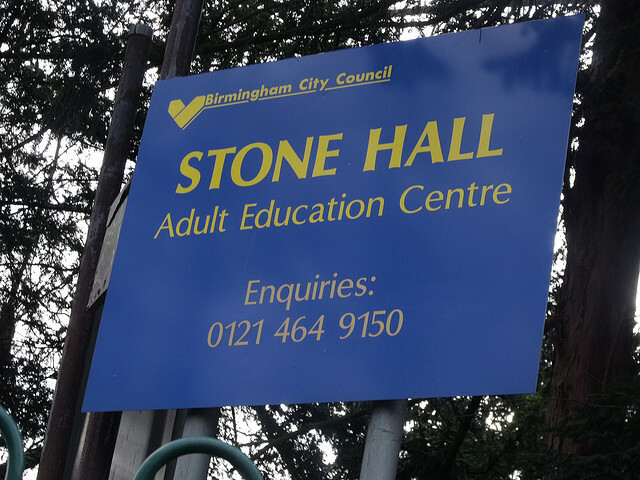 In Acocks Green village we are lucky to have the Stone Hall Adult Education Centre, (Warwick Road, opposite St Mary’s Church) which hosts many different opportunities to learn new skills for pleasure or to gain qualifications. Courses range from sewing classes, ESOL, computers, singing, pottery, Great Women in History, Computerised Accounts, job searching and interview skills and lots more! If you are in receipt of benefits then some of the courses may be free. This entry was posted in adult courses, News, places on interest and tagged Acocks Green, adult education, beginners, Birmingham, computer classes, computerised accounts, courses, ESOL, floristry, french classes, interview skills, job searching, pottery, sewing, singing, spanish classes, Stone Hall. Bookmark the permalink.